The House Agriculture Committee hosts a listening session on the next farm bill at Richland Community College in Decatur, Ill. The importance of the Agriculture Department's Natural Resources Conservation Service to help Illinois farmers reduce the nutrient loads that are considered a pollutant in the Gulf of Mexico were highlighted numerous times today at the House Agriculture Committee listening session on the next farm bill. House Agriculture Committee Chairman Michael Conaway, R-Texas, chaired the session at Richland Community College in Decatur, Ill.
Other members who attended the session included House Agriculture Committee ranking member Collin Peterson, D-Minn.; and Reps. Rodney Davis, R-Ill., Mike Bost, R-Ill., Darin LaHood, R-Ill., Cheri Bustos, D-Ill., and Glenn Thompson, R-Pa. Farmers testified repeatedly the NRCS programs are vital to reducing the nutrient load that goes into the Mississippi River and is believed to cause hypoxia in the Gulf of Mexico. The farmers noted Illinois invested millions of dollars to address the issue and does not want the effort to stop now. Other attendees repeated statements from the other listening sessions supporting crop insurance, making the commodity programs better able to deal with sustained periods of low prices and in favor of keeping the foreign market development programs, the Supplemental Nutrition Assistance Program, commodity distribution programs for food banks and the development of a vaccine bank against animal diseases. One witness suggested cutting the organic program to pay for the vaccine bank, but an organic farmer objected to that proposal. 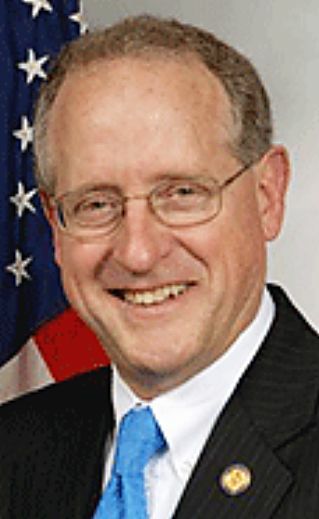 Conaway ended the session by repeating his previous comments that his highest priority in the farm bill is to continue producing food as cheaply as possible for the lowest 20 percent of earners in the United States. Conaway also said he was deputizing the attendees to take a message to the general public that nothing should be done in the farm bill to raise the cost of food. "Farmer and ranchers and SNAP recipients and everyone who eats should be an advocate" for getting the farm bill done, Conaway said.